There's plenty of reasons to root your phone, whether you own a Galaxy S5 or Nexus 5, an LG G3 or Note 3, but many of them may not be so obvious to you when contemplating whether or not taking the next step is for you. Sure, you can remove carrier and manufacturer bloatware and do full system backups and...well, what else exactly? Today we'll walk you through 10 good reasons to root your phone, but as always, we must remind you that rooting does come with some risks, so be sure you know all about them too before you proceed. Android devices are famous for their ability to change launcher, icon packs, live wallpapers, ringtones, keyboard sounds and much more. However, this customization is usually limited to superficial aesthetic changes. With root permissions you can modify the system files to your liking, including system sounds as well as the boot animation, which is what you see when you start your device up. The level of customization that is possible is near-limitless, but you can only start to see how deep the rabbit hole goes once you've taken the first step. There are already many apps that can free up your RAM or speed up your phone, and we recently shared an article about how to fix low memory on Android. However, with ''normal'' methods it is not possible to overcome the limitations imposed by the hardware itself, but only to work within those predefined limits. Once again, root permission comes to the rescue, allowing you to modify the actual speed of the CPU via overclocking. To do this it is necessary to flash a custom kernel – the link connecting your hardware to software – that allows it, but the process is very simple, even more so using the app Kernel Manager. Smartphones continue to evolve, but the Achilles heel of the battery has not yet been resolved. Although the best phones can guarantee 24 hours of use (and beyond, thanks to power-saving features), many of us fail to get to the end of the evening. Solution? Buy yourself the LG G3, the new king of the battery! Or, if you're not going to shell out that kind of money, or because you are simply loyal to your current smartphone, you can root and solve the problem yourself. With root you can access a number of functions that will allow you to choose how much power goes to the CPU, so setting a lower limit, called undervolting, can make significant savings in terms of power consumption. Again, you'll need a different kernel to the one your phone came with. Many of you already know the application Tasker, which allows us to automate virtually every aspect of our smartphones. For those not in the know, on the basis of an event (such as the insertion of the headphones, our specific location, a particular time of day etc) we can match an action to it (launch apps, send text messages, play a song) – all managed by this application. It also works without root permissions, but with them we will be able to access the complete list of possible interactions, such as activation of the internet, GPS, screen control, CPU speed, and much more. This is the number one reason why the majority of Android users decide to get root permissions. In addition to radically (or subtly) customizing a smartphone, the major custom ROMs we like the most tend to outdo the stock ROM in terms of functionality, performance and fluidity; an example is OmniROM, who are working on a ROM for fully integrated voice commands, allowing you to control every function of your smartphone via voice commands. Another important feature is the ability to upgrade our old and manufacturer-abandoned smartphone with the latest versions of Android. Here's our list of the most important custom ROM and root terms explained. While advertizing is, for many developers, their only source of income and the only thing that allows them to create otherwise free apps, it can also be a nuisance that you want to eliminate from your smartphone experience. If an app contains invasive advertising that not only consumes a large amount of data but that can also potentially trigger subscriptions without our consent, as we've seen repeatedly with WhatsApp, it's a problem that can be dealt with if you have root. Apps like AdBlock Plus give you control over the advertizing contained in apps and browsers. The use of this application and of other similar ones is possible only for those with root level permissions. Every Android device has the ability to make a backup of applications and certain data, within the settings menu or through the use of management software like Samsung's Kies. Even if you decide to use these options together with various cloud services, nothing can ultimately compete with the features offered by root permission backups. For example, it is only with root that you can use the legendary app Titanium Backup, with which you can make copies of the entire system image of your device and move it to your SD card or computer. You also have the the ability to automate the process at regular intervals. One of the best features (or worst, from the point of view of programmers) of Android devices is the incredible variety of phones and tablets that use it, not to mention the individual manufacturer changes to the Android system. This allows us to always have a different device than everyone else, but it also means not always being able to enjoy the unique features reserved for a group of top of the range smartphones. As you're probably starting to realize, root permissions also allow us to do this. In forums like XDA Developers there is a wealth of flashable zips available for all sorts of features, scripts and functions. In addition, we can enable limited functions from specific manufacturers, such as installing LG's Knock On feature on non-LG devices, or using features such as tethering to share and connect phones via USB, Bluetooth and Wi-Fi. This is actually one of the most convincing reasons to root your phone. You bought it, so it's yours and you don't want to be told what you can or cannot do with your own property. Android, by its very nature, is a free system born from the idea of creating an ecosystem of independent software and hardware that is open to everyone (we've written briefly about the history of Android). Getting root permission, in addition to the benefits listed above and many more that I could mention, will make you the ''real'' owner of your smartphone, giving you complete control, albeit with some risks, of customizing basically anything you want to, exactly how you want it. And this is perhaps the best part of rooting your Android. The best thing about rooting is that if at any time you decide you'd prefer to go on as before, before you got root permission, you can do this in a snap. This means you can return to the original firmware of your device and, in most cases, also restore your warranty (with a little smoke and mirrors). All of this can be achieved through the use of a special tool kit or just by reflashing the original firmware with Odin or another flash tool. So that completes the circle! If these reasons have convinced you that root is for you, first: read, read, read some more. Knowledge is power: that's the best way to avoid any hiccups! 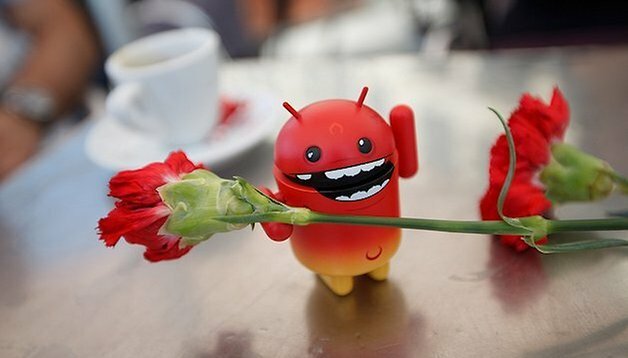 Check out our list of the top 5 root apps for Android. Are you considering rooting your device? What are your main reasons for rooting (or not rooting)? About the root of the phone I heard very good opinions and that made me curious. I have a perfectly functional phone that I do not use it anymore, and I will root it! Is it good to root galaxy s5?? My Galaxy S5 runs so much crap in the background and has a lot of large footprint Samsung apps I'm not interested in, I want to root it just to clean house. Another reason is my current thieving Telco "Globe"... Whenever your 7 day internet subscription runs out, they will auto-subscribe you to their most expensive 15 minute plan over and over, instead of simply cutting off the connection. I set myself an alarm to turn it off manually, but that's kind of a hassle I'd like Tasker to take care of. anyone know how I can get my phone to update? I have a galaxy s4 GT-I9500 and it still has 4.3 on it. every time I try to update it says "this device has been modified. no updates available." but clearly there have been updates since then! How I can root eSTAR CRYSTAL tablet? Any 4.3+ rom for Xperia c. Need very badly. Titanium Backup doesn't make nandroid backups. That's done in recovery mode. TB does back up everything (apps, settings, messages, most but not all settings) but that's not the definition of a nandroid backup. Nandroid backups are partition-based images. More like what Norton Ghost does for a Windows system. want to root my xperia z on 4.3!! Have you tried towelroot yet Philipp? I guess you haven't needed to, but it seems to be taking the root world by storm.